Creating electrical circuits no longer has to be a complex, specialized process thanks to a group of researchers at Georgia Tech. Their technique would allow anyone with an off-the-shelf printer and some other simple items to print their own circuits in basically no time. The entire setup costs approximately $300 (US) and could help home-brew tinkerers improve their prototyping abilities. Traditional methods of producing circuits involve complex and potentially harmful procedures such as thermal bonding. Georgia Tech’s technique can create ink-based circuits from silver nanoparticle ink in just a few seconds. 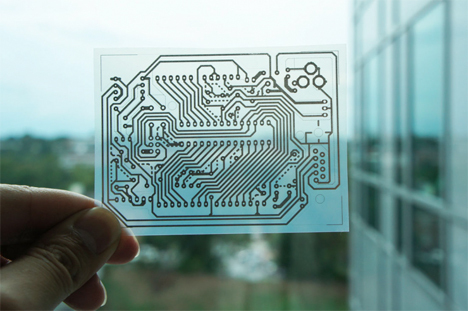 The circuits are printed onto easily attainable types of paper after being designed in a computer drawing software program. The circuits can even be produced by photocopying a drawing of a circuit. The resulting circuits are flexible, letting them fit easily into tight spaces. The technique uses ink that costs $200 per bottle and empty ink cartridges that cost $10 each. 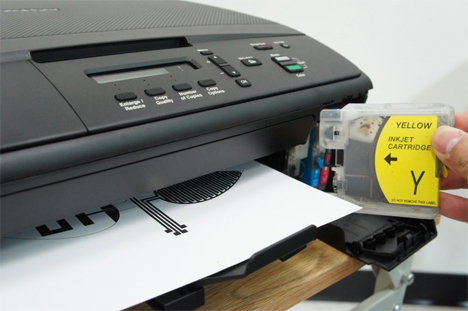 An off-the-shelf printer costs around $80, making the method accessible to nearly anyone. The researchers believe that this simple and inexpensive technique could be used in the classroom to teach children the fundamentals of electronics principles. Fledgling tinkerers can build circuits that can produce battery chargers, calculators and a plethora of other simple electronic devices in just a few hours from start to finish.